When I moved to Maine in 2001 – to get even with the guy who had sold me a houseful of furniture, but refused to give me a rebate – I knew I would be in big trouble. And I was right! After two days my stomach started complaining, and my brain kept sending “gag” signals, when I walked the supermarket aisles and encountered nothing but shelf after shelf of “Wonderbreads”. Poking one of those proudly-called rye, multigrain, oat nut, or wheat breads with my finger, I found no resistance. I could squeeze them through their plastic bags, and they would spring right back to their original size when I let go. Even toasted, they retained their squishyness and would not support butter or jam without getting soft and soggy. Eating two warm meals a day was another thing my stomach refused to accept. German families usually have bread and cold cuts either for lunch or for dinner. German schools don’t offer lunch, and Mother cooks at home. As a working mom I used to view this daily cooking as a chore, and bad idea – until my daughter went to Bangor High, and had to eat at the school cafeteria (this experience turned her into a cook, and gave birth to a career as chef!). Finally, I couldn’t take my stomach’s growling anymore. I started seeing bread mirages by day, and dreamed of crusty loaves by night. So I went on a quest for German everyday bread, Feinbrot. The first step was, of course, to find a recipe. That was, in 2001, a big hurdle. 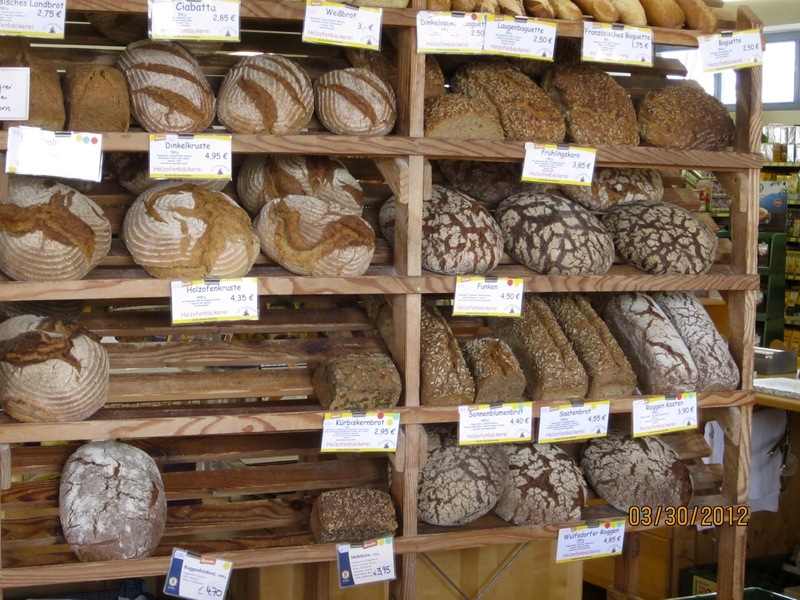 No one in Germany baked Feinbrot at home, you could get several varieties in every bakery and supermarket. My baking books and the internet offered only recipes for specialty breads, but not for the simple loaf I was looking for. 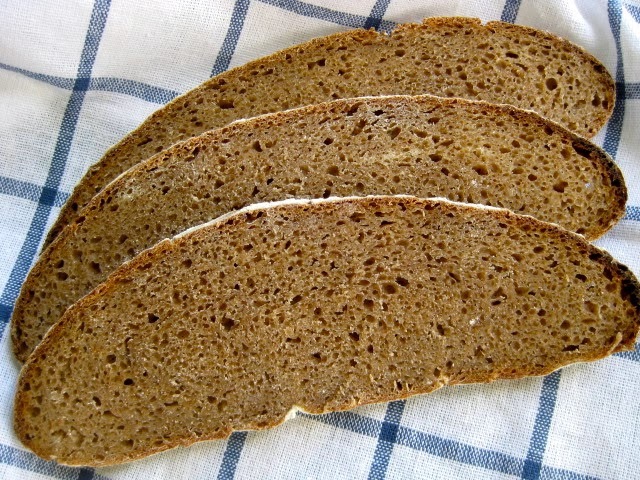 Feinbrot is usually baked with medium rye flour, but I was lucky to find whole rye, if any. And how to make sourdough? I didn’t have the slightest idea! But then I found a recipe for Pain au Levain, made with sourdough, in the “French Farmhouse Cookbook“. Full of enthusiasm I mixed my first starter from the scratch, and, also, as backup and for comparison, another starter from a store bought package. My first two breads, twin loaves from the two different starters, resulted in two almost identical bricks! Stubbornly, I kept on baking, producing more bricks on the way – my husband suggested having a supply next to our bed in case of a home invasion – and experimented with different amounts of rye, wheat, temperatures and baking times. After several weeks (and bricks!) my homemade starter was way ahead of the store bought mix, both in flavor and activity. Slowly, by trial and error, I figured out what bread flour/rye ratio worked best, and which temperatures and baking times delivered the best results. An open house tour with my daughter at the New England Culinary Institute in Burlington, Vermont, left me green with envy. Valerie was going to learn how to make baguettes – from a real French pastry chef! I went home, and, since I couldn’t be one, at least I could buy “The Bread Baker’s Apprentice“. Reading Peter Reinhart’s instructions I was struck by an epiphany! I had always (as stated in my recipes) just placed a cup with cold water in the oven. Though my bread had the right taste and the right crumb, the crust was rather chewy and thick. But now I learned how to set up my oven for hearth baking – with baking stone and STEAM! With the discovery of steam, my humble Feinbrot was transformed! Flavorful, a bit tangy, with a thin, crisp crust, it tastes good with cold cuts, but also with honey or jam. We especially like it with Fleischsalat, the typical German meat salad, made with ham and pickled cucumbers! 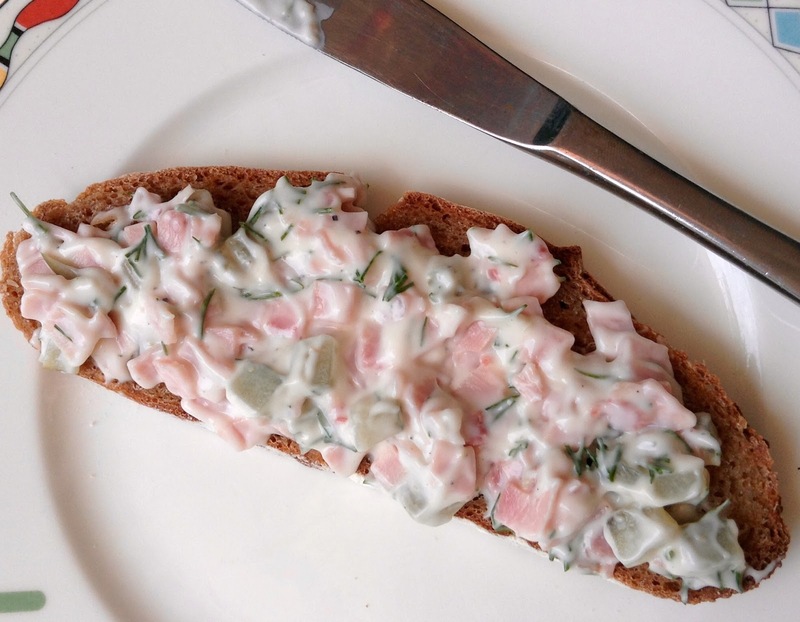 Feinbrot tastes great with Fleischsalat! **) For easier use, put equal amounts of anise, caraway, fennel in a spice mill, and give it a couple of turns. I like to make some breads with coriander only, therefore I use a separate mill for it. In two separate bowls, mix soaker and starter. Cover, and leave at room temperature overnight. 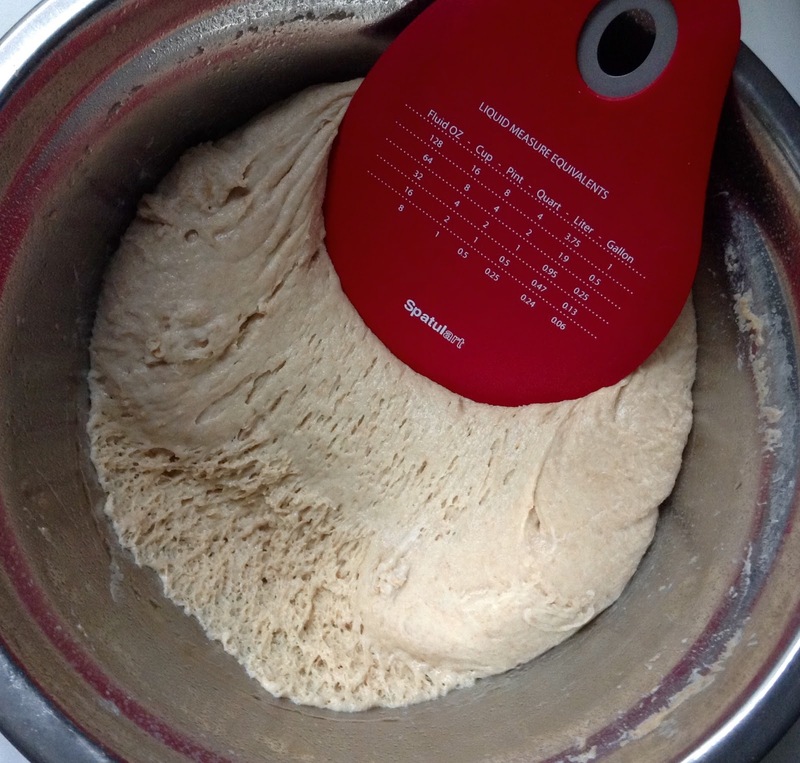 Mix together all ingredients for final dough, 1 – 2 minutes at low speed (or by hand), until all flour is hydrated, and a coarse ball forms. Knead 4 minutes at medium-low speed (or by hand). Let dough rest for 5 minutes, then knead for 1 more minute. 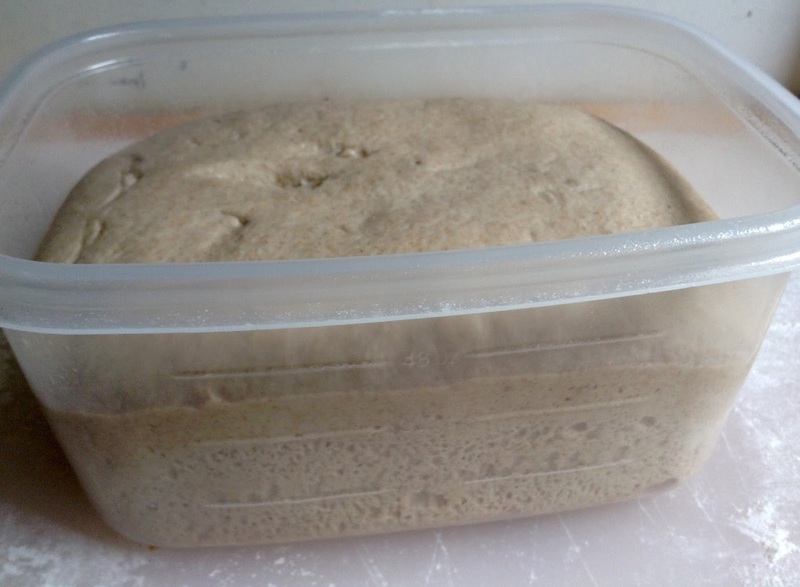 Place dough in an oiled container, cover, and let rise at room temperature, approximately 4 – 5 hours, or until it has grown to about 1 1/2 times its original size. Transfer dough to a lightly floured work surface. 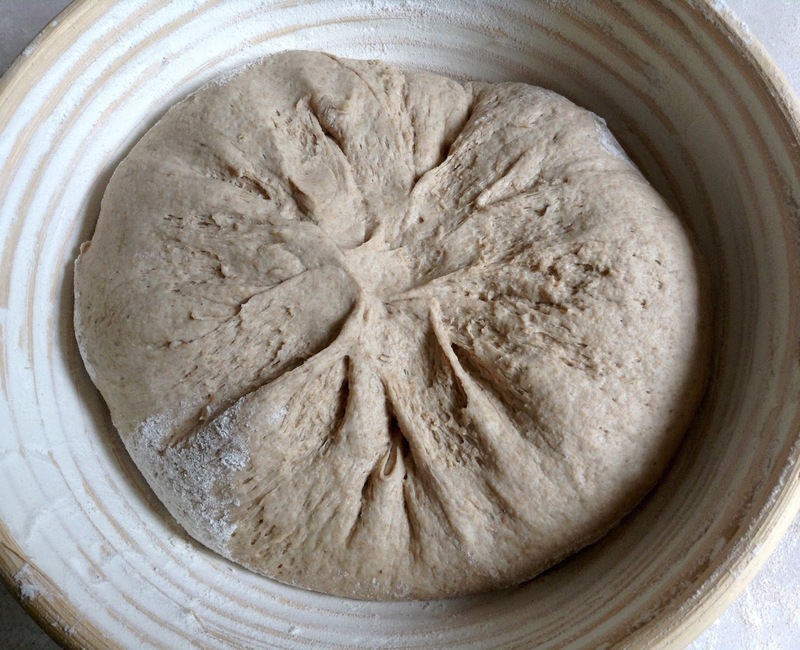 Shape it into a boule, and place in floured banneton, seam side up. Sufficiently proofed – finger poke test positive! Preheat oven to 500ºF/260ºC, with steam pan and baking stone. Turn bread out onto parchment lined baking sheet (or peel to bake directly on the stone). Score. Place bread in oven, pouring a cup of boiling water into the steam pan. Reduce temperature to 475ºF/246ºC, bake for 10 minutes, then lower oven temperature to 425ºF/218ºC. After 10 minutes, remove steam pan, rotate loaf 180 degrees for even browning, and continue baking for another 20 minutes, or until crust is deep golden brown, bread sounds hollow when thumped on the bottom, and internal temperature registers at least 200ºF/93ºC. Replace rye and whole wheat flours in soaker with 256 g spelt flour, use only coriander instead of spice mix. Replace rye in soaker with oat flour. Add a handful of toasted nuts to the dough (I like it with whole hazelnuts). Wholesome – but not holey! My husband loves German breads, but often they are to soure for me when I buy them in an German store. I 'll make this one and tell him your story. Thank you for sharing. Susan, I made your Country Bread already, it's a very good everyday bread, too. Our bread environment got a bit better in the meantime, fortunately, but I still prefer my own. Here temperatures are quite pleasant, not too hot, but my poor mother in Hamburg is sweltering away at over 40ºC, too. Haha, I know what you mean! I spent a lovely summer with my pen pal's family, her mother was a wonderful cook, but the bread was just as you described. It had a kind of silvery glimmer, too. Nice to meet another bilingual blogging ex-pat – I'll include your blog in my list. Yes, so much has changed during the 14 years since I moved to Maine. All these stupid bake shops that out-sell from-the-scratch bakeries. People buy according to the motto “Geiz ist geil!” I like my own bread now better than this fast staling stuff, too. Please, do, Marion, and if you use a freshly fed starter, instead of a several days old one it will be less tangy. 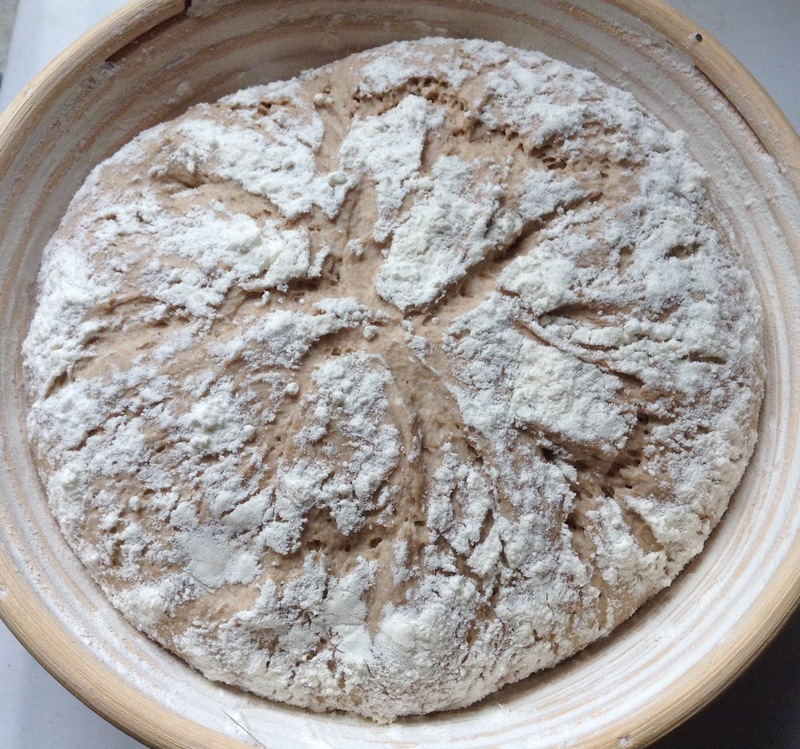 You can also vary by taking a white sourdough, then it will be milder, too. 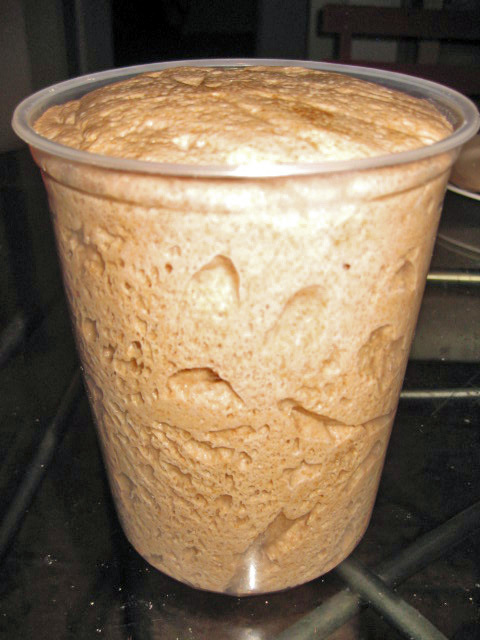 Here in the US commercial bakeries often use artificial “sourdough flavor” instead of real sourdough, for an extra sour taste, trying to emulate San Francisco Sourdough. Ten out of ten for persistence…I gave up after my first “brick”!